Alternative energy comes to Panama. Panama’s Chiriqui Province is rich in climate. We have a six-month sunny period and a six-month rainy season that keeps our fields green, our vegetables growing and our cattle well-fed. The abundance of rivers also provides us with many places to generate hydroelectricity. The problem however, is getting that electricity from the generator to the small outlying farms and homes. Case in point is some friends of mine with an urbanization project 5 kilometers from town. They would love to have electricity but the utility company will charge them about $25,000 per kilometer for poles and wiring. Another friend runs a dairy farm seven kilometers further down the same road, it would cost him a quarter of a million dollars to get power. So we have all the electricity potential we could ever need but the problem is getting that same power to the customer. The solution: generate and own the power source yourself. Both of my friends have many advantages; they have a year-round stream running by their property, they have wind blowing over it and the sun shines down on them constantly. The alternatives don’t stop there. From the mountains of the Himalayas to the plains of Africa many people cook, boil water and heat their homes using biofuel energy, or to put it in a less technical way – they use cow dung. 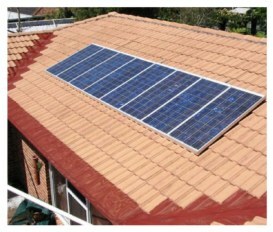 If you are a family of three you would need about a 2 kilowatt supply. 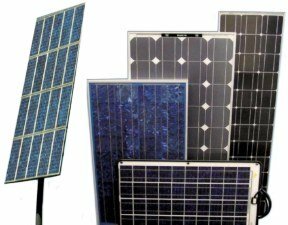 Cost of a solar panel supply system: $14,000. If you had a battery back up then you could have power at night. If you run a dairy and need to milk 60 cows a day with sterilization and pasteurization equipment, you will need a 6 Kilowatt system costing about $42,000. The problem with solar is that it needs sun. Storing electricity needs expensive batteries. The solution is to have a hybrid set up that uses both hydroelectricity and solar. The world’s largest wind turbine, The Enercon E-126 produces 6 Megawatts. That one turbine could supply all the power needs for Volcan, Boquete, and every small town in Chiriqui. 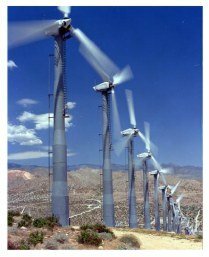 Small wind turbines are available and can supply up to 20 Kilowatts of power. Yes. SKY engineering, and American company is now working in Panama. Not only can they supply all of your alternative energy needs from hydro to Solar and Biofuel but they can offer 15-year financing at 4% through the Export-Import bank. SKY ENERGY FREE INFORMATION SEMINARS. Sky Energy Panama will be offering small information seminars in the Chiriqui area. They will be held in both English and Spanish. SKY Energy is also willing to offer free evaluation tests of the energy potential at you farm or country home.